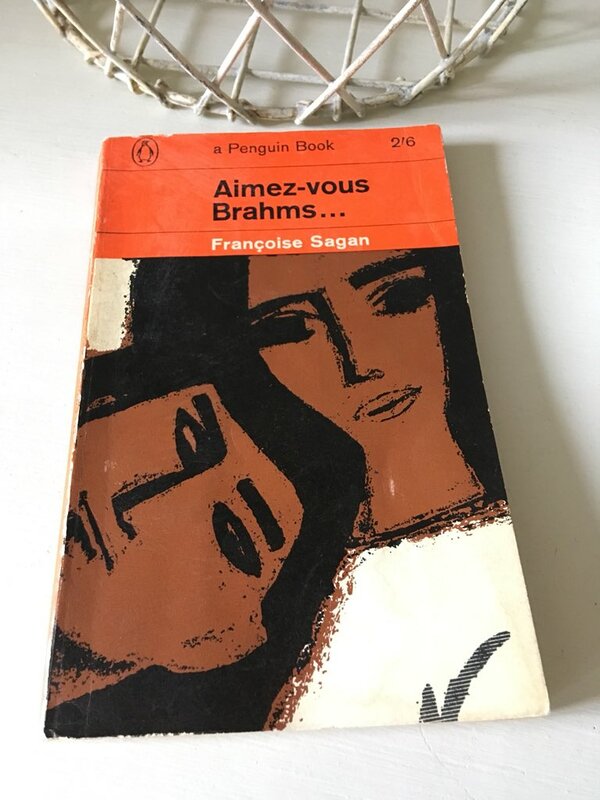 First published in 1959, Aimez-vous Brahms… was Françoise Sagan’s fourth novel – or maybe novella would be a better word for it as the early ones are all quite short. Unlike her first two books (Bonjour Tristesse and A Certain Smile), Brahms features a relatively mature protagonist, Paule, a thirty-nine-year-old interior decorator living in Paris. It’s the story of a woman at a key point in her life, poised on the brink of entering middle age and everything this represents – particularly with regards to the nature of her relationships with men. For the past five years or so, Paule has been in a relationship with Roger, a rather independent, self-centred businessman who seems very self-assured. While Roger spends some of his nights at Paule’s apartment, he doesn’t live there permanently, preferring instead to maintain his own base in the city. Right from the start of the story, it is clear that the nature of this relationship is far from ideal, certainly from Paule’s perspective. Roger has established a degree of flexibility with Paule such that he is free to have affairs with other women – usually young girls – whenever the urge arises. Somewhat unsurprisingly, this leaves Paule feeling rather lonely and neglected – effectively an unequal partner in the relationship. One day, in the course of her work, Paule meets Simon, a handsome and intriguing young man in his mid-twenties. At first, Paule is reluctant to get involved with Simon even though she experiences a palpable spark of attraction. Simon, on the other hand, is determined to win Paule’s heart, pursuing her with considerable vigour and persistence during the days that follow their initial encounter. Naturally it’s not long before Paule succumbs to Simon’s charms – after all, he is very keen and attentive, if a little immature. As Paule reflects on the passing of time and her quest for happiness, she is faced with a choice. Should she stay with Roger and the familiar yet unfulfilling existence that this represents, or take a chance with Simon and the freshness of youth he offers? It’s not as easy a decision to make as we might think, especially given society’s views about the suitability of certain relationships back in the ‘50s. In this scene, Paule imagines what others would make of it if they knew the true nature of her growing friendship with Simon. Aimez-vous Brahms… is an insightful story of a woman who longs for personal fulfilment and contentment at a time when life seems to be passing her by. As we grow older, there is a sense that our options in life can narrow, become more limited as we settle into our existence. Nevertheless, new opportunities can come along at the most unexpected of times, and there is an element of that here in Brahms. The characters are well-drawn and believable – especially the main protagonist, Paule. Sagan’s prose is cool and clear, the tone melancholic and thoughtful. The novel’s title comes from a note Simon leaves for Paule inviting her to a classical music concert — that is if she likes Brahms. The line ‘Aimez-vous Brahms?’ prompts Paule to question her preferences in life – more specifically, her values and her own sense of self-worth. In some ways, it highlights how uncertain Paule feels at this point. What if anything will make her happy and is this really within reach? Ultimately, the story comes with a sting in its tail, one that feels painfully believable and true to life. I couldn’t help but wonder what would happen to Paule as time passes by – in particular, where she might be a year or two down the line. My thanks to Marina Sofia of findingtimetowrite who recommended this book to me last year – it turned out to be an excellent suggestion. Aimez-vous Brahms… was published by Penguin Books; personal copy. This entry was posted in Book Reviews, Sagan Françoise, Women in Translation and tagged #ReadWomen, #WITMonth, Book Review, Classics Club, Françoise Sagan, France, Women in Translation on August 7, 2018 by JacquiWine. A couple of summers ago I read Louise de Vilmorin’s Madame de ___ (1951), an exquisite novella that follows the fate of a pair of earrings as they pass from one person to another. (You may be familiar with the story via the Max Ophüls film, The Earrings of Madame de…, widely considered to be a masterpiece of French cinema.) 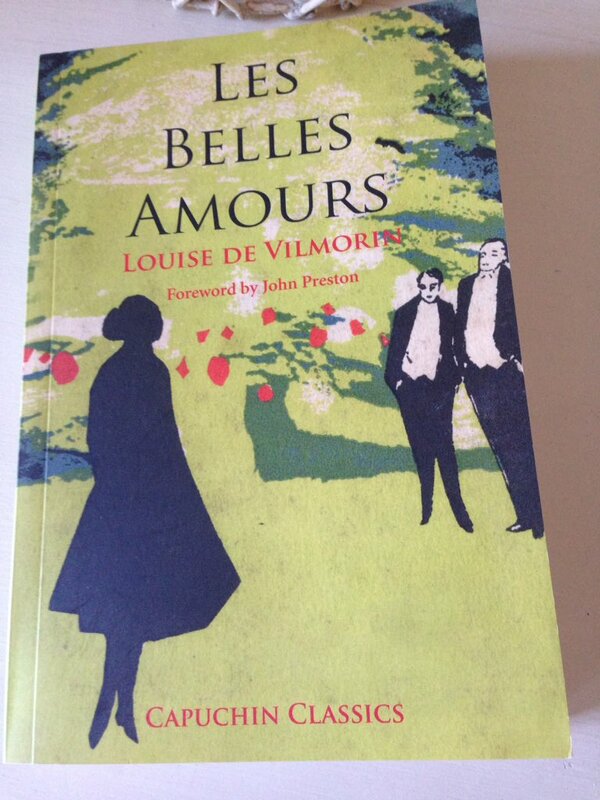 In my eagerness to try another by de Vilmorin, I tracked down a copy of Les Belles Amours (1954), a novel that explores the complexities of romantic liaisons, a subject close to the author’s own heart. As outlined by John Julius Norwich in his afterword to Madame de ___, de Vilmorin’s love life was characterised by a series of intricate romantic entanglements. These included an engagement to the French writer and aviator, Antoine de Saint-Exupéry, an affair with Orson Welles (to whom Les Belles Amours was dedicated), and an extended liaison with Duff Cooper, the British Ambassador to France at the time. As Francis Wyndham once commented, ‘You couldn’t say she [de Vilmorin] was beautiful, but there was an aura about her. In some mysterious way, she was tremendously attractive’. So, back to the novel itself, Les Belles Amours is in a similar style to Madame de ___. In short, it is another beautifully constructed story, by turns elegant, artful, astute and poignant. I hope to find a place for it in my 2017 highlights. At nearly sixty, the distinguished Monsieur Zaraguirre remains irresistible to women – the fact that he now resides in South America only adds to his attraction. Wherever he goes, this successful businessman makes a lasting impression; women fall at his feet, longing to capture his attention and maybe his heart too. While M Zaraguirre clearly enjoys the company of women, he remains somewhat detached from his lovers, avoiding emotional involvement at all costs. When he senses that a woman is getting too close to him or tiring of the uncertainty of the situation, he bids her farewell with a diamond ring, a parting gift to remember him by. During his frequent business trips to Europe, Monsieur Zaraguirre often spends time with his closest friends, the Duvilles, at their home of Valronce in the French countryside. The Duvilles long to see their thirty-year-old son, Louis, settled with a suitable wife and to this end Mme Duville spends her days inviting a succession of attractive young girls to the house in the hope that her son will fall in love with one of them. Louis, for his part, remains somewhat immune to these beauties, preferring instead to spend his leisure time in Paris where he amuses himself with a succession of casual love affairs. Easily bored, he is a lover of late nights, fast pursuits and glamorous mistresses, all to the mild distress of his parents. Then, one weekend, Mme Duville’s cousin, a distinguished Colonel, brings his niece, a beautiful young widow, to Valronce where she meets and forms a bond with Louis. The pair are instantly attracted to one another, so much so that they announce their engagement before the day is out. The Duvilles are delighted by the news, and preparations for the wedding immediately swing into action – the couple are to be married within the month. Naturally, the Duvilles invite their good friend, M Zaraguirre, to their son’s wedding, an invitation the latter is only too keen to accept. Nevertheless, when M Zaraguirre arrives at Valronce only days before the marriage is to take place, he too finds himself falling in love with Louis’ fiancée – and what’s more, the feeling is mutual. During this scene, M Zaraguirre and the young woman in question are alone in the garden. In response to an enquiry about her feelings, Louis’ fiancée opens her heart. In the eyes of the experienced roué, it seems she has mistaken an affectionate form of friendship for one of love. She was touching, sincere and in great distress. M Zaraguirre and the young woman spend the night together and then elope the following morning (the day of the wedding) thereby leaving poor Louis in the lurch. Naturally, the Duvilles are devastated, and M Duville senior breaks off all relations with M Zaraguirre once the true nature of the situation comes to light. Within a matter of weeks, Louis’ former fiancée has become Mme Zaraguirre, and the couple waste no time in departing for South America where they settle into a rhythm of life together, sheltered by the beauty of M Zaraguirre’s colonial country house, Tijo. Some five years later, Mme Zaraguirre decides to accompany her husband on one of his business trips to Europe. It will give her an opportunity to visit various members of her family whom she has not seen since her elopement. While in France, Mme Zaraguirre makes a new friend, a rather silly, gossipy woman who encourages her to live a little by spending some time in Paris, a city she has never been interested in visiting until now. As M Zaraguirre has business to attend to elsewhere, Mme Zaraguirre accompanies her friend to the capital where she runs into Louis Duville at a gathering. At first, it would appear as though Louis has forgiven his former fiancée for deserting him, but at heart, the underlying situation is more complex than that. When it transpires that Mme Zaraguirre would like nothing more than to bring about a reconciliation between her husband and his old friend M Duville, Louis sees an opportunity for revenge, thereby setting in motion an elaborate dance, one in which each party hopes to play the other to their own advantage. What follows is a complex sequence of manoeuvres, something that doesn’t quite go according to plan for either player. I won’t go into the details here; I’ll leave you to discover them for yourself should you decide to read the book. Nevertheless, by the end of the story, my sympathies were firmly with Louis – and with M Zaraguirre for that matter. Mme Zaraguirre is a complex character, at times rather selfish and indifferent to the feelings of others. While I loved reading about her, I certainly wouldn’t trust her as a friend or a potential ally. Perhaps the signs were there at an early stage with this description, a reflection on her demeanour as a young widow. There is something timeless about Les Belles Amours. 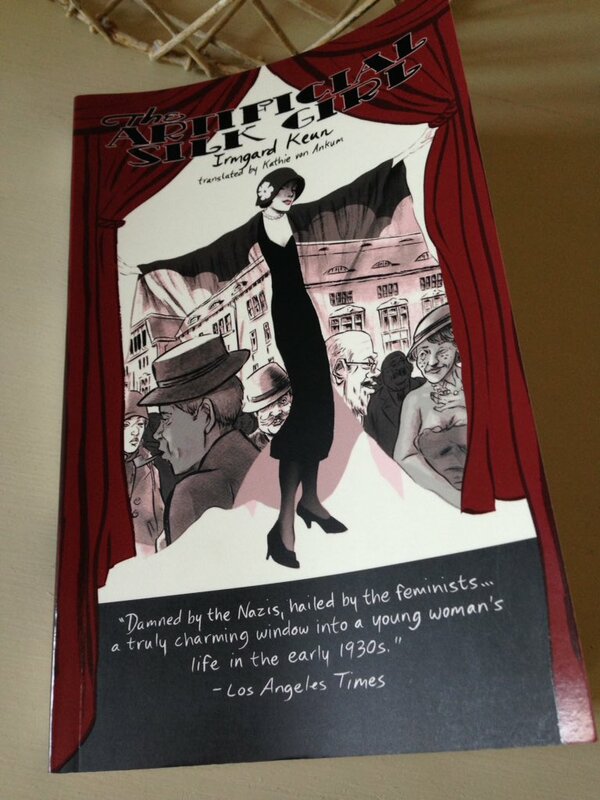 The story is set in the mid-1920s, but it could easily have been any time in the late 19th century. 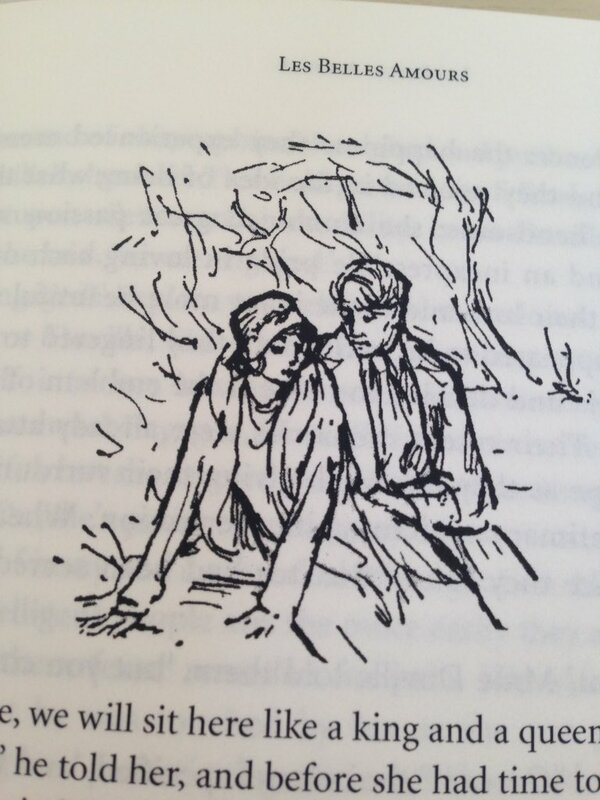 My Capuchin Classics edition comes with a set of beautiful pen and ink drawings which add a lovely touch, enhancing the mood of particular scenes. I loved this novel of intrigues, infidelity, and the complexities of the heart – highly recommended for lovers of French fiction and classic literature in general. This entry was posted in Book Reviews, de Vilmorin Louise, Women in Translation and tagged #ReadWomen, #WITMonth, Book Review, Capuchin Classics, Classics Club, Fiction, France, Francis Wyndham, Literature in Translation, Louise de Vilmorin, Novella, Women in Translation on August 8, 2017 by JacquiWine. 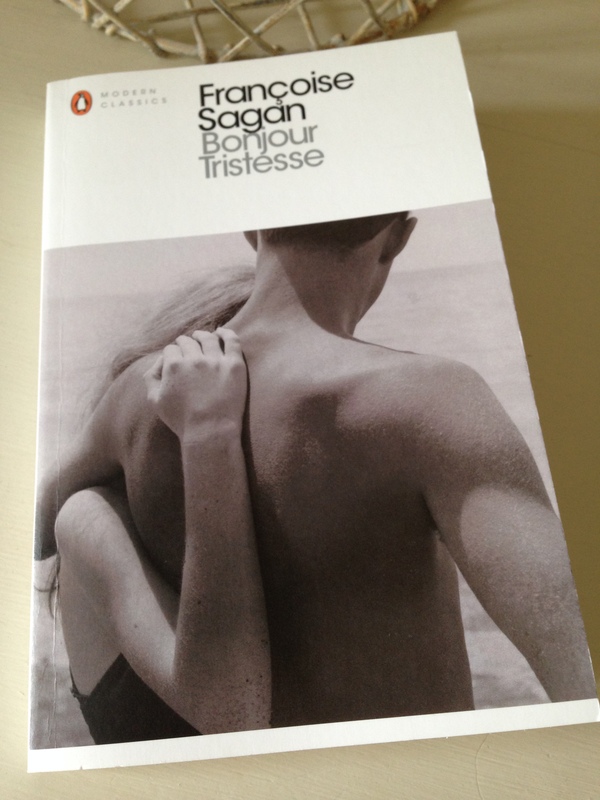 Last summer, I read and adored Bonjour Tristesse, Françoise Sagan’s seminal novella about love, jealousy and desire – in essence, the games a young girl plays with other people’s emotions. 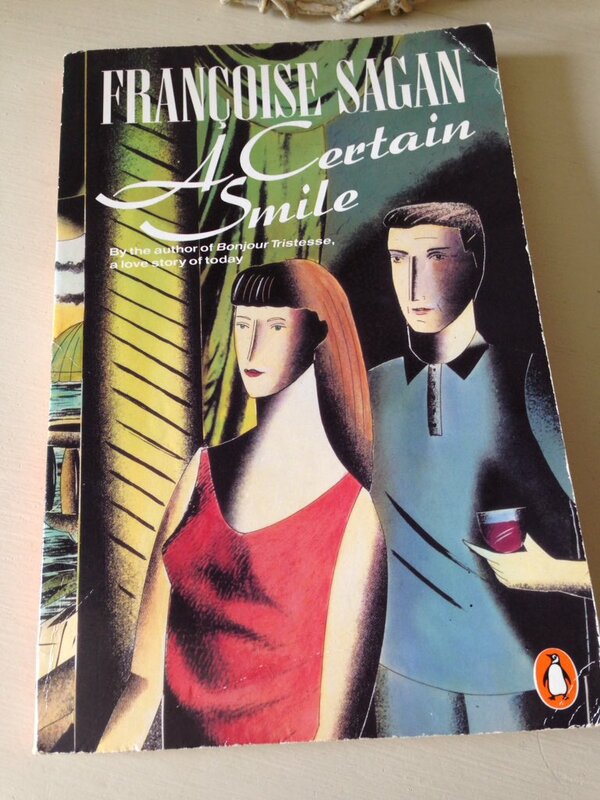 This year I was keen to read her follow-up, the 1956 novella, A Certain Smile – this time in the Irene Ash translation which was rushed out in the same year. (You can read my additional post about Heather Lloyd’s recent translation of Bonjour Tristesse here). In summary, A Certain Smile is the bittersweet story of a young girl’s ill-fated love affair with an older married man, one that epitomises the emotions of youth complete with all their intensity and confusion. While I didn’t love A Certain Smile quite as much as Tristesse, I did enjoy it a great deal. It’s a lovely book for the summer, best read on a lazy afternoon in the sun with a cool drink by your side. 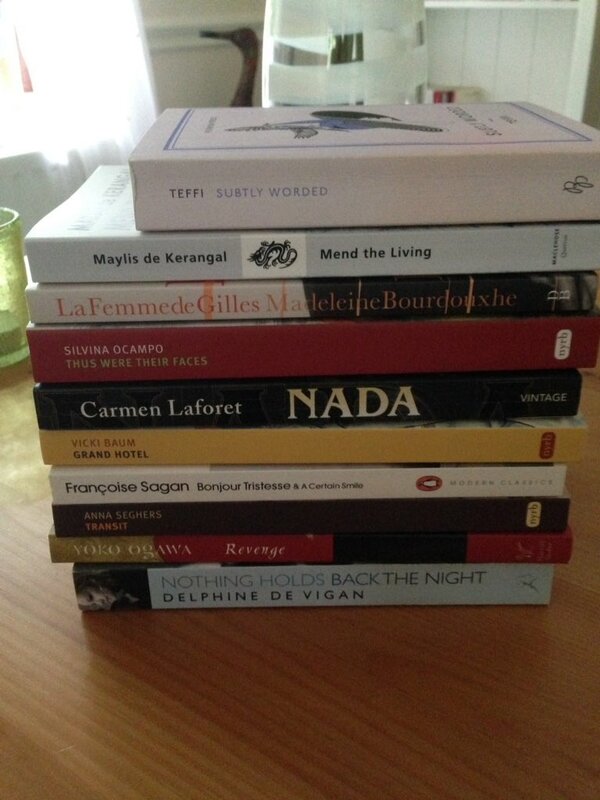 Perfect reading for #WITMonth (women in translation) which is running throughout August. The novella is narrated by Dominique, a law student at the Sorbonne, who is experiencing an overwhelming sense of boredom with life. She is bored by her rather immature and petulant boyfriend, Bertrand, by her studies at the University, and at times by the city of Paris itself. Dominique spends her days idling her time away in cafes, listening to records on the jukebox, and generally lolling around. Sagan perfectly captures this sense of ennui, the feelings of listlessness and detachment that stem from a lack of clear purpose in Dominque’s life. Nevertheless, everything looks set to change for Dominique when Bertrand takes her to meet his Uncle Luc, a businessman and traveller. Luc is older than Bertrand, more self-assured and sophisticated. Naturally, Dominique is instantly attracted to him. In some ways, she sees Luc as a kindred spirit; his expression suggests a certain sadness, a weariness with the world in general. Luc, for his part, is also attracted to Dominque; somewhat unsurprisingly, her youth and freshness prove appealing to him. In spite of her fondness for Françoise, Dominque finds herself getting more involved with Luc, especially once he invites her to dine alone with him without Bertrand or Françoise. Dominque knows she is playing a dangerous game here, but what does that matter? This is the most interesting thing to have happened to her in months. In time, Luc asks Dominique to come away with him to the Riviera. He is keen to spend time with her alone, to show her the sea, and to teach her how to feel less inhibited. Even though she knows Luc will return to Françoise at the end of the trip, Dominque accepts his proposal, complete with all its inherent risks and uncertainties. She steels herself to be resilient, deep in the knowledge that Luc will not fall in love with her. It is clear that there have been other affairs in the past, so why should this one be any different? ‘Isn’t it true that you’d risk nothing?’ repeated Luc, as if to convince himself. Dominique and Luc spend an idyllic fortnight in Cannes, making love and generally enjoying one another’s company. They are united by a common lethargy, a weariness for the day-to-day business of life. Somewhat inevitably and in spite of her best intentions, Dominque finds herself falling in love with Luc. She is young and inexperienced in these matters, and her natural emotions soon take over; but when the holiday comes to an end, Luc goes back to Françoise, leaving Dominque on her own in Paris to pick up the pieces. This is a book in which emotions are expressed both freely and openly. Sagan really excels at capturing what it feels like to be young: the conflicted emotions of youth; the lack of interest in day-to-day life; the agony and despair of first love, especially when that feeling is not reciprocated. In short, she portrays with great insight the painful experience of growing up. The prose is cool, clear and candid, a style that perfectly suits Dominique’s character and the nature of her story, while the mood is free-spirited and oh-so-French – like a Jean-Luc Godard movie or Mia Hansen-Løve’s appropriately-titled 2011 film, Goodbye First Love. In spite of everything that has gone before, Dominque’s story ends on a more hopeful note. There are moments of brightness earlier in the narrative too, like this scene in which our narrator reflects on Paris, the ‘shining golden city’ that stands apart from so many others. I’ll leave you with this final passage which I loved for its youthful exuberance. A Certain Smile is published by Penguin Books; personal copy. 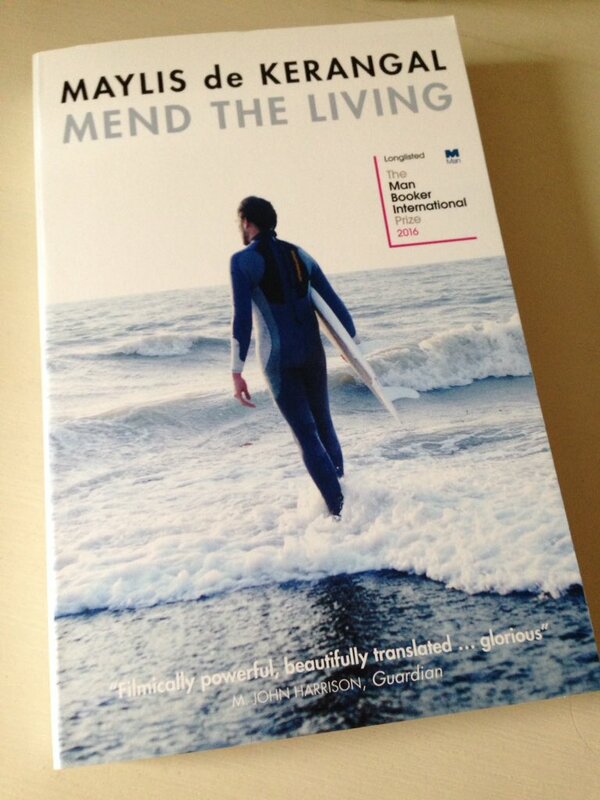 Karen at Kaggsy’s Bookish Ramblings has also reviewed this novel. This entry was posted in Book Reviews, Sagan Françoise, Women in Translation and tagged #ReadWomen, #WITMonth, Book Review, Fiction, Françoise Sagan, France, Irene Ash, Literature in Translation, Penguin Books, Women in Translation on August 2, 2017 by JacquiWine.